Ensemble modeling of coronal mass ejections (CMEs) provides a probabilistic forecast of CME arrival time that includes an estimation of arrival-time uncertainty from the spread and distribution of predictions and forecast confidence in the likelihood of CME arrival. The real-time ensemble modeling of CME propagation uses the Wang–Sheeley–Arge (WSA)–ENLIL+Cone model installed at the Community Coordinated Modeling Center (CCMC) and executed in real-time at the CCMC/Space Weather Research Center. The current implementation of this ensemble-modeling method evaluates the sensitivity of WSA–ENLIL+Cone model simulations of CME propagation to initial CME parameters. We discuss the results of real-time ensemble simulations for a total of 35 CME events that occurred between January 2013 – July 2014. For the 17 events where the CME was predicted to arrive at Earth, the mean absolute arrival-time prediction error was 12.3 hours, which is comparable to the errors reported in other studies. For predictions of CME arrival at Earth, the correct-rejection rate is 62 %, the false-alarm rate is 38 %, the correct-alarm ratio is 77 %, and the false-alarm ratio is 23 %. The arrival time was within the range of the ensemble arrival predictions for 8 out of 17 events. The Brier Score for CME arrival-predictions is 0.15 (where a score of 0 on a range of 0 to 1 is a perfect forecast), which indicates that on average, the predicted probability, or likelihood, of CME arrival is fairly accurate. The reliability of ensemble CME-arrival predictions is heavily dependent on the initial distribution of CME input parameters (e.g. speed, direction, and width), particularly the median and spread. Preliminary analysis of the probabilistic forecasts suggests undervariability, indicating that these ensembles do not sample a wide-enough spread in CME input parameters. Prediction errors can also arise from ambient-model parameters, the accuracy of the solar-wind background derived from coronal maps, or other model limitations. Finally, predictions of the K P geomagnetic index differ from observed values by less than one for 11 out of 17 of the ensembles and K P prediction errors computed from the mean predicted K P show a mean absolute error of 1.3. The work was carried out as a part of NASA’s Game Changing Development Program Advanced Radiation Protection Integrated Solar Energetic Proton (ISEP) project. L.K. Jian acknowledges the support of NSF grants AGS 1242798 and 1321493. M.L. Mays thanks T. Nieves-Chinchilla and B.J. Thompson for useful discussions. We gratefully acknowledge the participants of the CME Arrival Time Scoreboard ( kauai.ccmc.gsfc.nasa.gov/CMEscoreboard ). The ACE and Wind solar-wind plasma and magnetic-field data were obtained at NASA’s CDAWeb ( cdaweb.gsfc.nasa.gov ). OMNI data were obtained from NASA’s COHOWeb ( omniweb.gsfc.nasa.gov/coho ). The Dst geomagnetic index was obtained from the World Data Center for Geomagnetism in Kyoto, Japan. Estimated real-time planetary K P indices are from NOAA and the NGDC, and final definitive K P indices are from the Helmholtz Center Potsdam GFZ German Research Centre for Geosciences. The SOHO/LASCO CME catalog is generated and maintained at the CDAW Data Center by NASA and the Catholic University of America in cooperation with the Naval Research Laboratory. SOHO is a mission of international cooperation between the European Space Agency and NASA. The STEREO/SECCHI data are produced by an international consortium of the NRL, LMSAL and NASA GSFC (USA), RAL and University of Birmingham (UK), MPS (Germany), CSL (Belgium), IOTA and IAS (France). Some figure colors are based on ColorBrewer.org . 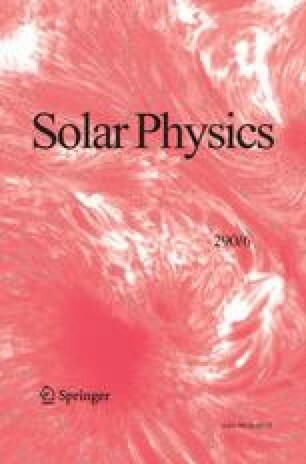 Romano, M., Mays, M.L., Taktakishvili, A., MacNeice, P.J., Zheng, Y., Pulkkinen, A.A., Kuznetsova, M.M., Odstrčil, D.: 2013, Validation of real-time modeling of coronal mass ejections using the WSA–ENLIL+Cone Heliospheric Model. AGU Fall Meeting Abstracts, A2156. ADS.